The Iles Formula system was developed by celebrity hairstylist Wendy Iles and a team of scientific experts with the purpose of developing INSTANT repair for ALL hair types. Tested globally across Europe, Africa, Middle East, Asia, India, North and South America delivering excellent results. 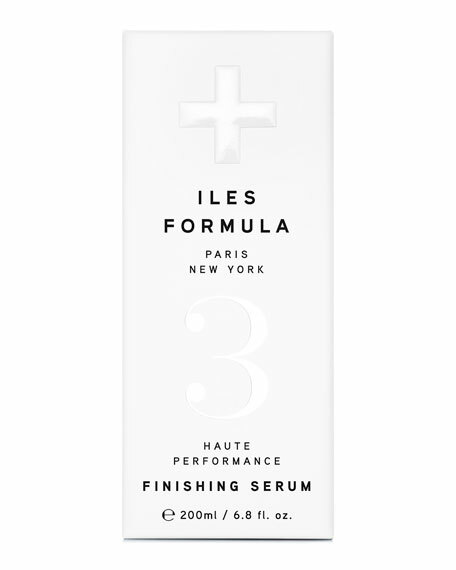 The Iles Finishing Serum is the hair's best protector against heated tools, UV damage, color fade and humidity. Apply to wet hair on each section as blowdrying. It will make thin hair feel thicker and thick coarse hair feel more tamed without ever weighing the hair down. This serum can also be applied daily on the outer surface of dry hair to tame frizz and protect from humidity and color fade.